Capital One bought ING Direct USA back in early 2012, and has finally completed their transition and re-branding. Their new savings account product is called Capital One Consumer Bank Savings. Since I’ve had an account with them for over a decade (September 2001, as they remind me every time I log in), here’s an updated review of my 2nd oldest bank account meant for both new and existing customers. At first glance, the only thing that really changed was that the primary colors went from orange and blue to Capital One’s red and blue. However, there are a few other tweaks that I noticed were different from the ole’ ING Direct days. Subaccounts. Another unique feature of ING Direct was the ability to create unlimited subaccounts to better facilitate specific savings goals. For example, you could open up additional savings accounts called “Europe Vacation”, “Emergency Fund”, or “Jon’s Slush Fund”. You can also easily set up automatic transfers to regular put aside different amounts of money into each of these accounts (i.e. $200 a month, $25 a week, etc). This handy tool remains, with a max of 25 subaccounts. Interest Compounding: accrued daily, compounded monthly, credited monthly. Minimum requirements to avoid monthly service charge: None. FDIC Insurance: Capital One Consumer Bank is federally insured up to $250,000 per depositor with FDIC Certificate #4297 of Capital One, N.A. Their Bankrate Safe & Sound rating is 4 out of 5 stars (Sound). ING Bank, FSB and Capital One, N.A. legally became one bank, so if you have other accounts with Capital One NA your combined balances may now be subject to FDIC limits. Customer service contact information: 24/7 Interactive Phone Service at 1-888-464-7868. Talk to a human at 1-888-464-0727 from 8 AM to 8 PM (all time zones), 7 days a week. 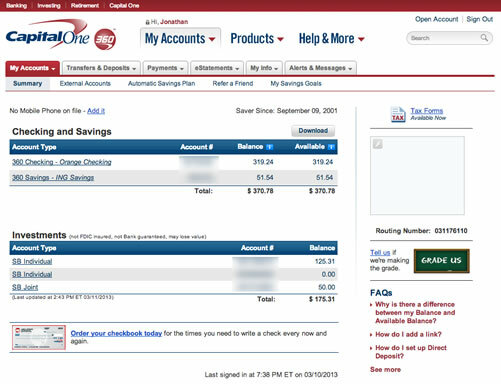 So far, it looks like Capital One Consumer Bank Savings has kept all the important aspects of the former ING Direct experience intact – No minimums and no fees, easy-to-use interface, and lots of subaccounts to tuck away your money. They have a long history of reasonably competitive interest rates – usually not the absolute highest these days, but consistently within 0.25% or less. The addition of mobile check deposit and better smartphone apps is a small but welcome improvement. 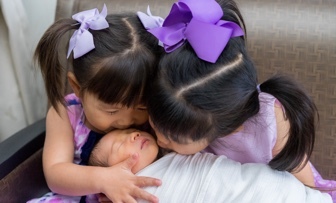 As before, the Savings account is meant to complement your existing checking account. If you want ATM withdrawals, checkwriting ability, or online billpay, you will need to open up a Capital One Consumer Bank checking account (formerly Electric Orange Checking). This is all part of Capital One’s plan to become one of the big boys with a complete portfolio of banking products, credit cards (some good cash back rewards options and small business rewards cards nowadays), and brokerage/investment/401k plans (Sharebuilder). Slightly off-topic. Since treasury yields have been rising, are you considering buying some rather than Parking money in online savings account(s)? I’ve been with ING/360 for a few years now, and they have had the mobile check deposit capability on their smart phone app for just as long, so its not a new feature. By my measure, the only thing Capital One has done is reskin the ING site in their colors. Even though the savings rate is below others, I stink with them because of the simplicity and the features you mention. I’ll be watching closely to see what Capital One does or doesn’t do to the rates and features. 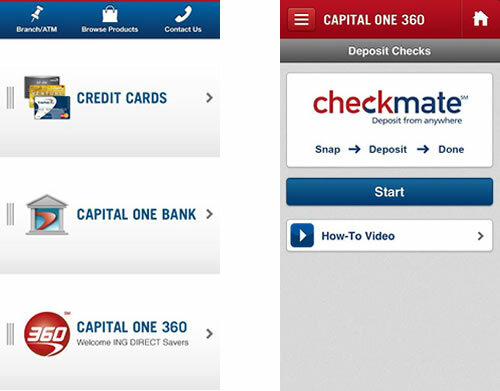 I didn’t realize CheckMate was a CapitalOne product improvement? I may be mistaken, but I thought that ability had been available since before the acquisition. No matter now though. It’s these features you mentioned above that made me sign up 5 years ago. I love the subaccount feature. I think the CheckMate feature was added after acquisition, but before rebranding. You missed one of the important numbers…. foreign transaction fee! It’s now zero, which is great for travelers. ING was my first online savings account. I moved my money around from bank to bank chasing rates a while back (ING, Emigrant, FNBO, HSBC). I’m now with Ally. I don’t think I’ve banked at a bank that didn’t let me open multiple accounts, so I’m not seeing the big deal about having multiple sub accounts. I have 5 savings accounts and 1 checking account with Ally and with my main bank I have 4 checking accounts and 1 savings account. Only takes maybe 2 minutes to open a new account. Is there something special about the way Chase360 does subaccounts that makes it special? @whytax – Treasury yields are still much, much lower than FDIC-insured CD yields available to retail investors. @Jeff – I don’t know about a few years, Checkmate was rolled out around April 2012, less than a year ago. As @Chris noted, this was after ING Direct announced it would be acquired by Capital One in early 2012 so I view it as a CapOne change. @Andrea – Good tip! No branches near me anywhere on the West Coast, unfortunately. @Patrick – Depends on how you look at it. Acquisition announced about Feb 2012, Checkmate announced about Apr 2012, so it was probably in the works beforehand. @Chris – Another good tip, although only applicable to 360 Checking… no foreign transaction charges for debit-card use internationally matches their policy on credit cards. I use CapOne credit cards almost exclusively while traveling for that feature. @Robert – I think it’s a subtle difference, although yes you can replicate the overall experience elsewhere. It’s more about ease and intent. I’m not sure of this as it has been a while, but I think ING was one of the first to let you open new account instantly with no new identity verification – no typing in your name, address, etc and also you could easily apply custom names to each account. My bad, I forgot I was in the Beta program they had. Some bankers got access to the system pretty early, August 2011 as I recall. Definitely a lot longer that April of 2012. It was clearly an ING effort, not a result of Capital One purchase. ING was just bought by Scotiabank here in Canada and I’m hoping their acquisition transitions goes as well as this. ING is a great brand but I would hate to see them get swallowed up into another corporate bank and lose their competitive customer service offerings. I also have a mortgage account with ING\Cap1-360. ING used to charge a $50 fee of you mailed in a mortgage payment to deter that practice and encourage you to pull money from your linked accounts (or just set up automatic payments) Capital One no longer charges that fee according to a CSR I recently talked to. She was not even aware that ING direct had that policy. A word of caution – Cap. One “investigations dept” is paranoid to the point of ridiculous. They are happy to shut down one’s account on any suspicion – be that logging in from another IP or a trial deposit from another service. After a few such incidents, i ran out of patience with bid them my farewell. This 360 bank account is impossible!!! I have now for the 3rd time opened a bank account with capital one online, gone thru the entire long affair of the Pin and user id and the security verification and 5 answers etc etc..
Made my opening deposit and linked the checking ACCT to 360. ****ALL 3 times, within 24 hours my new account was RESTRICTED****totally useless. WHAT IS THIS ABOUT?? What did you do, I opened an account, got through whole process, deposited $400 from a check I had waited on for months only to have my account restricted and my funds stuck. They won’t release them, nor will they release the restriction. I’m upset..
Capital One 360 is terrible. I plan to dump them this month. Their phone system has long hold times, their online system keeps changing the security questions that were never asked originally and logging in has become a chore with the new website design. I hate everything about them. They have money hold times that are twice as long as ING’s. The website is often undergoing “retooling” so you are locked out. Their representatives are unhelpful at best and liars at worst. Put your money elsewhere. Capital One 360 not a good account. Capital One 360 is ridiculous 5 BUSINESS Days for a Check To Clear? I’m moving on . . . I have had Capital One 360 account for over two years and will be closing my account as soon as I get access to my money. I will be closing escrow the next week on a home and had roughly 25k that was transferred into my Capital One account via ACH Direct Deposit on 4/6/14. The funds had complete swept over today 4/9/14. I needed to transfer that and the remaining balance to my US Bank account because I need to wire the money on 4/15/14 to the escrow company to finalize the purchase of my home. I transferred money from four other bank accounts on 4/6/14 and all those cleared by 4/9/14. I find out today, that Capital One has placed a hold on the entire 25k until 4/16/14. 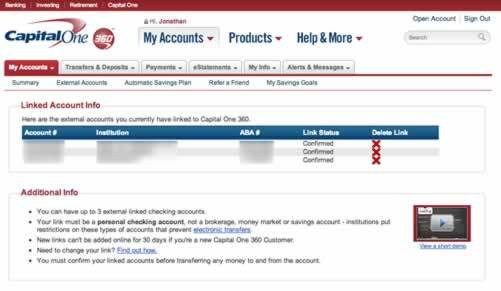 The funds and account info has complete swept to my Capital One account, but they are holding the money due to set internal policies. I spoke to four different representatives who all basically told me it is there policy to hold ACH transfers for five additional days and there is nothing I can do to get the hold removed. I am not an expert, but I believe this violates section 229.10 of the FDIC. Either way, I will not bank with a company who arbitrarily sets their own rules and places holds on their customer’s money with no regard as to the outcome to those policies. There are far to many better banks out there that value their customers.